Who knew Facebook was created through lies, deceit, and betrayal? David Fincher's 2010 Oscar eating monster is by now known worldwide. The story revolves around computer geek Mark Zuckerberg, and his ascent into fame and popularity. How he got there? Not really a lighthearted tale. Zuckerberg ends up betraying his friends and colleagues which sends him into a personal downhill spiral and an eventual lawsuit which sets up the basis for the film. As for the film's music, Nine Inch Nails band member Trent Reznor teamed up with composer Atticus Ross to deliver one of the most interesting film scores of the decade. How can I possibly describe the score to The Social Network? It feels the farthest thing from a film score as possible. At times, the music is pulsating with heavily electronic techno beats worthy of a dance club. Some times, it features soft piano rthyms. Other times the material is harsh, dissonant, synthetic work. Occasionally, the music even sounds like a classic arcade game. Moreover, however, the whole album feels like a Nine Inch Nails concert. The film's main theme is heard in both 'Hand Covers Bruise' and the reprise of the track. It is a soft piano melody underscored with harsh synth noise and may very well be the only discernible theme in the whole soundtrack. There is, surprisingly, alot of good piano work throughout the album. 'Penetration', 'Soft Trees Break the Fall', and 'Pieces Form The Whole' are the closest things to orchestral work as you can get. Aside from maybe 6 actual minutes of piano work, the rest of the album is mostly a mix of either fast paced, well designed dance beats or dark, electronic music to characterize the character and personality of Mark Zuckerberg. 'In Motion' opens up the techno portion of the score, relying on crazy dance beats popping in and out of conciousness. 'Pieces Form A Whole', 'Intriguing Possibilities', and 'On We March' are just some examples of the more techno inspired music that appears here and there. All of the other tracks on the score are ither eclectic sounding ('Magnetic') or dark and synth-heavy (314 Every Night). A quick mention, Trent Reznor and Atticus Ross's remix of In the Hall of the Mountain King is surprisingly alot of fun, especially in the context of the film. 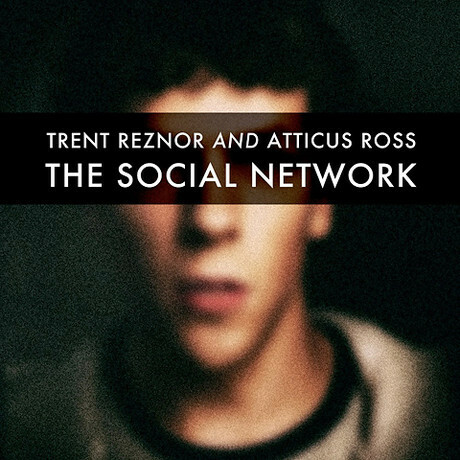 It's not a criticism to say that three quarters of the music on the album 'The Social Network' could very well be used at a techno rave. To everyone's surprise, the score actually managed to nab an Oscar. In a way, Trent Reznor and Atticus Ross really deserved it. In terms of creativity, the score deserves a 10 out of 10. As far as being listenable, however, I would give it a 4 out of 10. The music really is unique and original, but at about 20 minutes in it is already too much to bear. It's music best suited for dance clubs or otherwise. Why? I ask myself, why is this even considered music at all? Then I question as to how this even won an academy award? I won't delve further than the mono toned tracks with the most minimal of notes and chords yields one of the most horrific scores I have ever heard. Ill conceived, poorly made, and crazily implemented that a single listen should drive a man crazy if you will. I have to say that if this is the type of scores that are winning awards now, I am in luck because I could have churned out a score like this, in less than half an hour. Sadly if this is what we call music, I don't want to live on this planet anymore.